– I am an optimist in the case of fulfilling postulates of Poles living in Lithuania. Those problems have to be solved once, however, it takes the eternity to make that happen- was saying in Jedynka radio MEP Waldemar Tomaszewki, the leader of LLRA. New cadence started work in Lithuanian parliament last Monday, it has been chosen in the October election when the Lithuanian Peasant and Greens Union won. Soon the new government will be formed, it will consist of the winning party and the Lithuanian Social-democratic Party. Waldemar Tomaszewski being asked, whether that is a good change for Lithuania said that the time will show us if it is so. As he stated, yesterday the president of Lithuania signed decree about the appointment of Saulius Skvernelis from the Lithuanian Peasant and Greens Union for a Prime Minister. After a few weeks there will be probably new government introduced, the government’s programme will be discussed in the parliament, after voting it will start working. As said Jedynka radio’s guest, Saulis Skvernelis was working in the police, he was a Secretary General, then he was a manager of the Interior Ministry, but he handed in his notice after the scandal- one of the prisoners ran away from the prison with a Kalashnikov rifle. He had a high popularity in surveys. 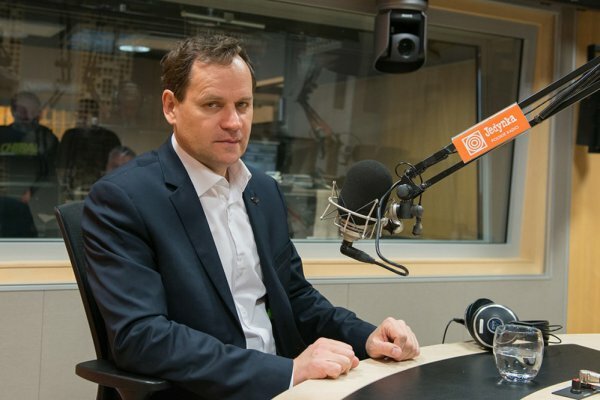 According to words of Jedynka’s guest, it is assumed that in this elections Lithuanians were not voting for some group, but against the two parties that had been alternately ruling the country for many years: social- democratic and conservative one. People wanted changes, to such attitude contributed also the recent corruption scandals- said Waldemar Tomaszewski. The politician asked whether or not there is a chance for realisation Polish minority’s plans answered that he is an optimist, although this issue stays unsolved for many years. As he was saying, those problems have to be solved someday, Lithuania is a part of the European Union and has ratified Framework Convention for the Protection of National Minorities so decisions are surely mellowing. What is more, as he has noticed, last elections were good ones for Poles. We have parliamentary club consisting of 8 people, we added to our name the implication concerning Christian values”- the politician said.